Will the SLR be back soon? 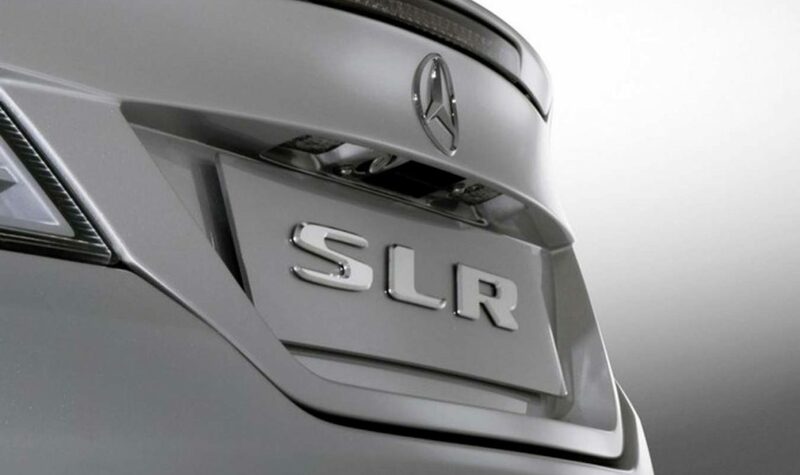 Mercedes has recently protected the rights for the name SLR, which was used on two major sports cars in the past. In March 2019, Mercedes filed with the US Patent and Trademark Office the name SLR, in the category of vehicles and spare parts. The name first came from a race car, the 1955 SLR, before being resurrected in 2003 for a McLaren-designed supercar. Would the German manufacturer prepare the return of this famous badge? If this is indeed the case, the SLR moniker could accompany a new supercar sandwiched between the very radical Mercedes-AMG One and the current GT, or even the very replacement of the GT. The “continuation” models are getting more and more popular, another possibility is the arrival of a reissue of the original 300 SLR in very limited series, for a handful of privileged customers. Of course, it is also possible that Mercedes simply has made the registration process only for security.